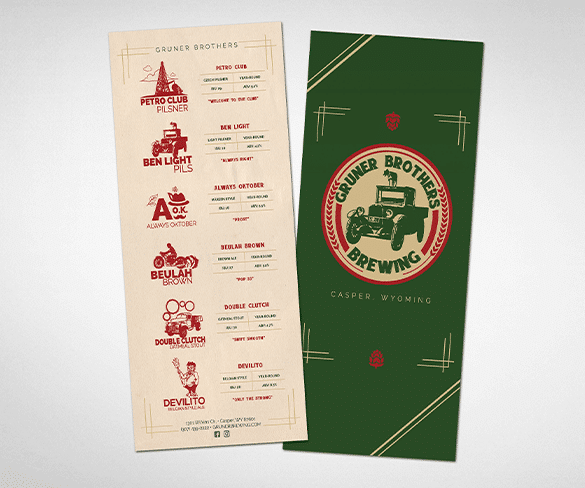 Having wanted to work on a Wyoming beer brand for quite some time, we were fortunate to be asked to tackle Gruner Brothers. They had big ambitions, a big building, a big system, and they needed a big brand to match. 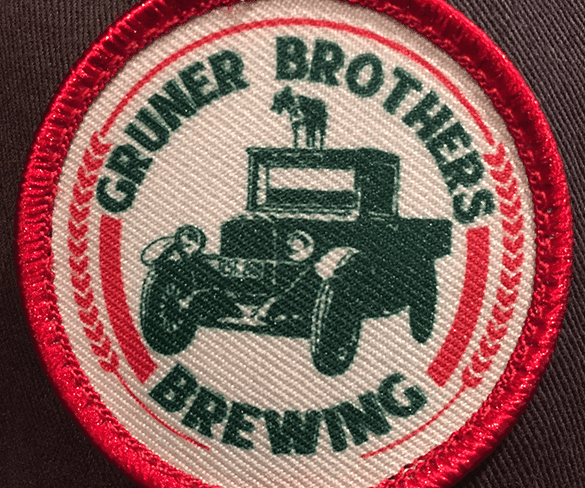 Drawing inspiration from the brothers love of old cars and trucks, Wyoming elements, and their German heritage, we were able to craft a brand as tasty as their beer. Once we had the brand all put together we created a really cool brand book that tells their story. 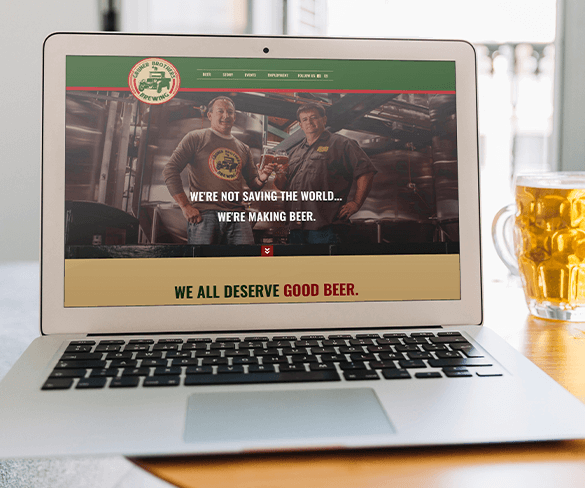 It has info on beers, the history, and other elements that made up the brand. It’s a great leave behind for distributors and makes sure their story is correctly told. This brand was a fun one to develop. We really had to go deep into the crate when it came to something different for them. 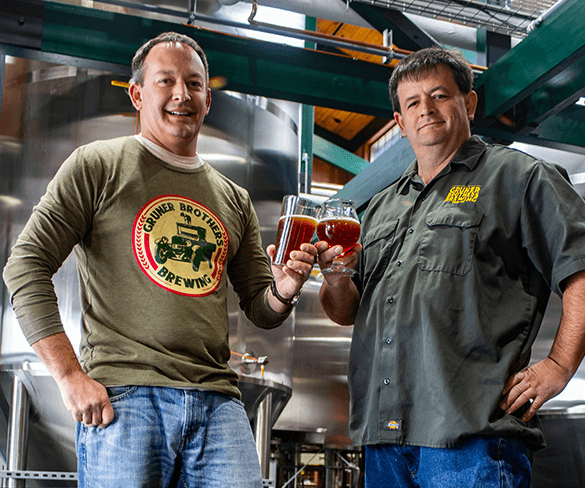 Their love for old trucks, Wyoming, and beer made for a unique design. We don't always get a chance to do illustration work and we were happy to tackle the challenge.